How to create new Office documents. Microsoft Office Online is the web-based versions of Microsoft Word, Excel, and PowerPoint. With Microsoft Office Online you can view and edit Office documents without needing Office installed on your desktop. Jottacloud is directly integrated with Microsoft Office Online allowing for a seamless experience when editing Jottacloud documents in Microsoft Office Online. To create a new office document in Jottacloud, simply click the New button when you are in files. Select the type of office document you want from the appearing menu. Note: When you create a new document, it is named "newfile" by default. You can rename the file. 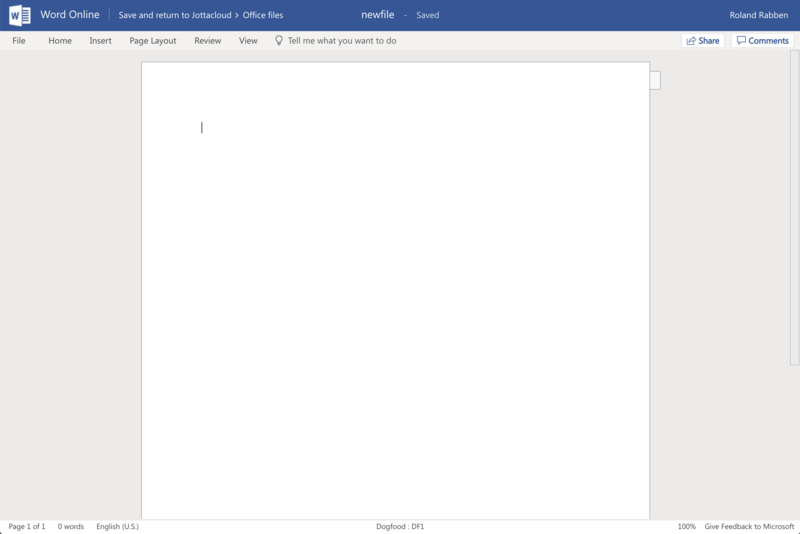 Office Online is opened in your browser with a blank document. 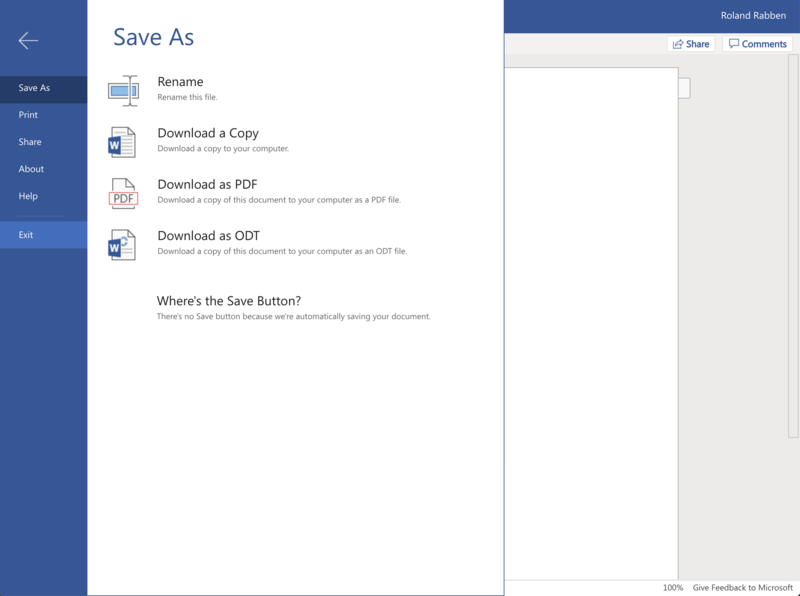 Now you can type in text, insert images and edit the document as you normally would do with Microsoft Office. Note: Changes you make to documents are automatically saved back to your Jottacloud account. To exit Office Online and return to Jottacloud, click on the File menu and select Exit from the menu.